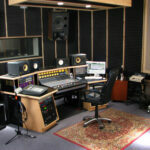 Home » Diymb Blog » The Free Music Business Course Countdown Begins! Yep, you read the title correctly. The Free Membership Program is launching this month. 15 days from the date of this post to be exact. I’ve spent a lot of time figuring out how I wanted to organize and deliver everything. Even had doubts, going back and forth with this idea for months. There were moments where I just said “screw it, why bother?”. On 1 hand, I love sharing knowledge and my experiences, but on the other, I hate wasting my time. Anytime you give something away free, people don’t understand it’s value. It doesn’t matter what it is: Training, music gear/software, studio time…whatever, it’s value just isn’t the same. Have you ever given someone studio time FREE? If so, ever noticed how lazy that lucky person becomes? There’s no urgency, no drive, deadlines. They make excuses for everything. It’s nuts. When you pay for something/invest in yourself you’re more determined to get your investment back. Go to the school, you want to get a job in the field. Purchase stocks, you actually start paying attention. You note and pay attention to the trends, because you want to walk out with some profit. Because I enjoy helping people. I had a lot of help when I started and don’t know where I’d be today had I not been pointed in the right direction. I know there’s a lot of people that’ll like and appreciate what I’m offering and I know there are others who will love it. My knowledge and expertise on making a living in the world of audio as a whole. Most specialize in 1 area, which is great, but it’s always good to have options or at least know what those options are. I will admit my methods are a bit unorthodox, but if you’re a follower of Diy Music Biz… You already know this. I don’t like conforming, I like finding ways around the norm and making things work out in my favor. Everyone! There always seems to be a disconnect between; age, experience and modern times/the modern way of making things work and I’m here to bridge that gap or at least shorten it. Good looking out on this free membership opportunity. I’ve already purchased the “Art of Sound Design” course and am beginning to implement my learnings from that. I’m hungry for more and your site is one of my top sources for music marketing information. Im in Greg. I thought you had forgotten about this.